Researchers at the Case Western Reserve School of Medicine and University Hospitals (UH) Cleveland Medical Center will study whether a contact-wearer’s genetics may play a role in who does or doesn’t contract infection–especially Microbial keratitis (MK), a bacteria-caused infection of the cornea, which, if left untreated, can cause blindness. 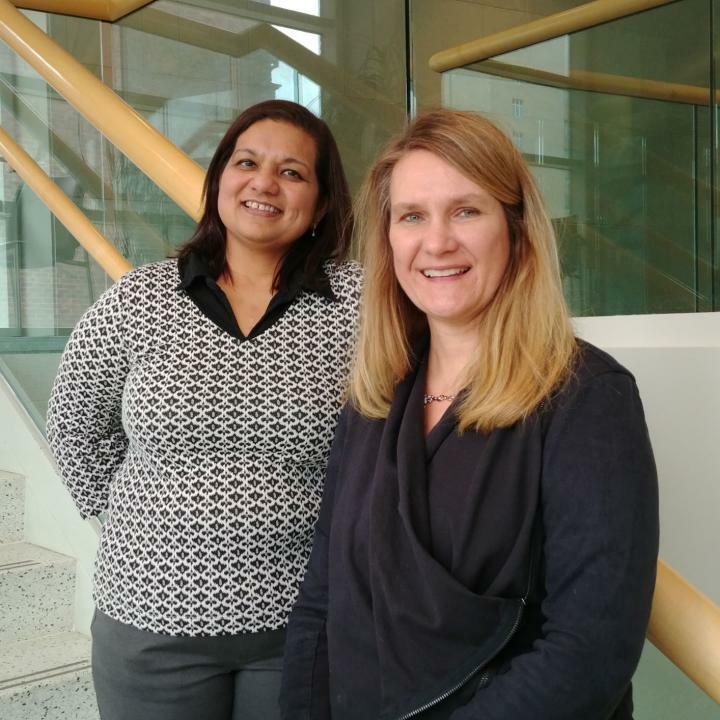 School of Medicine researchers Sudha Iyengar, PhD, and Loretta Szczotka-Flynn OD, PhD, also with UH, have received multi-year grants–from both the National Eye Institute and Alcon Research Ltd.– to study the genetic profile of contact-lens wearers with and without MK. Their research focuses on infections related to the use of soft contact lenses and will explore why some people contract MK and others don’t, despite the fact that most lens users are exposed to bacteria. Szczotka-Flynn also directs the Vision Research Coordinating Center and director of Contact Lens Service at the UH Eye Institute. Contact-lens use is the leading risk factor for MK in developed countries. Contact lens-related MK (CL-MK) is a painful infection that requires prompt treatment to avoid loss of vision and even blindness. The Centers for Disease Control estimates there are about one million urgent doctor or clinic visits each year for contact-lens complications and keratitis in the United States alone, costing $175 million in direct health-care costs annually. This study will be conducted over two years with multiple sites nationwide. Patients that have experienced a devastating infection and those who have not, but have significant risk factors, will volunteer for a scan of their genetic pathways. Iyengar is also a professor in the Department of Ophthalmology & Visual Sciences at the School of Medicine. Although most contact-lens wearers are exposed to a variety of bacteria that can infect the cornea or have hygiene or other risk factors for infection, most do not experience MK. Many research studies involving a range of infections support the understanding that infection can be prompted by varying immune responses that may be informed by a person’s genetic profile. This study of a person’s genetic profile will add to the greater body of knowledge about infection and response or resistance.